01. 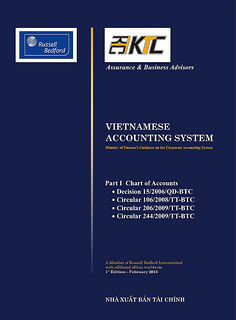 The objective of this Standard is to prescribe the accounting policies and procedures in relation to measurement and presentation of earnings per share for comparison of business results among joint-stock enterprises in one reporting period and the business results of one enterprise through reporting periods. that are in the process of issuing ordinary shares or potential ordinary shares in public markets. 03. When an entity presents both consolidated financial statements and separate financial statements, the disclosures required by this Standard need be presented only on the basis of the consolidated information. An entity that is not required to prepare consolidated financial statements shall present such earnings per share information only on the face of its separate income statement. An ordinary share is an equity instrument that provides for a dividend subordinate to all other classes of equity instruments. Options, warrants and their equivalents are financial instruments that give the holder the right to purchase ordinary shares at a specified price and within a given period. Put options on ordinary shares are contracts that give the holder the right to sell ordinary shares at a specified price within a given period. 05. Ordinary shares participate in profit for the period only after other types of shares such as preference shares have participated. Ordinary shares of the same class have the same rights to receive dividends. (c) Shares that would be issued upon the satisfaction of specified conditions resulting from contractual arrangements, such as the purchase of a business or other assets. 07. An entity shall calculate basic earnings per share amounts for profit or loss attributable to ordinary equity holders of the parent entity. 08. Basic earnings per share shall be calculated by dividing profit or loss attributable to ordinary equity holders of the parent entity (the numerator) by the weighted average number of ordinary shares outstanding (the denominator) during the period . 09. Basic earnings per share information is to provide a measure of the interests of each ordinary share of a parent entity in the performance of the entity over the reporting period. 10. For the purpose of calculating basic earnings per share, the amounts attributable to ordinary equity holders of the parent entity shall be after-tax amounts of profit/loss attributable to parent entity adjusted by preference dividends, differences arising on the settlement of preference shares, and other similar effects of preference shares classified as equity. 11. All items of income and expense attributable to ordinary equity holders of the parent entity that are recognised in a period, including corporate income tax expense and dividends on preference shares classified as liabilities are included in the determination of profit or loss for the period attributable to ordinary equity holders of the parent entity. (b) Preference dividends for cumulative preference shares required for the period, whether or not the dividends have been declared. The amount of preference dividends for the period does not include the amount of any preference dividends for cumulative preference shares paid or declared during the current period in respect of previous periods. 13. Preference shares that provide for a low initial dividend to compensate an entity for selling the preference shares at a discount, or an above-market dividend in later periods to compensate investors for purchasing preference shares at a premium, are sometimes referred to as increasing rate preference shares. Any original issue discount or premium on increasing rate preference shares is amortised to retained earnings using the effective interest method and treated as a preference dividend for the purposes of calculating earnings per share. 14. Preference shares may be repurchased under an entity’s tender offer to the holders. The excess of the fair value of the consideration paid to the preference shareholders over the carrying amount of the preference shares represents a return to the holders of the preference shares and a charge to retained earnings for the entity. This amount is deducted in calculating profit or loss attributable to ordinary equity holders of the parent entity. 15. Early conversion of convertible preference shares may be induced by an entity through favourable changes to the original conversion terms or the payment of additional consideration. The excess of the fair value of the ordinary shares or other consideration paid over the fair value of the ordinary shares issuable under the original conversion terms is a return to the preference shareholders. This excess is deducted from profit or loss attributable to ordinary equity holders of the parent entity. 16. Any excess of the carrying amount of preference shares over the fair value of the consideration paid to settle them is added in calculating profit or loss attributable to ordinary equity holders of the parent entity. 17. For the purpose of calculating basic earnings per share, the number of ordinary shares shall be the weighted average number of ordinary shares outstanding during the period. 18. The weighted average number of ordinary shares outstanding during the period issued because the amount of shareholders’ capital varied during the period as a result of increased or decreased number of shares being outstanding at any time. The weighted average number of ordinary shares outstanding during the period is the number of ordinary shares outstanding at the beginning of the period, adjusted by the number of ordinary shares bought back or issued during the period multiplied by a time-weighting factor. The time-weighting factor is the number of days that the shares are outstanding as a proportion of the total number of days in the period. (g) Ordinary shares issued for the rendering of services to the entity are included as the services are rendered. The timing of the inclusion of ordinary shares is determined by the terms and conditions attaching to their issue. Entity must consider carefully the substance of any contract associated with the issue. 20. Ordinary shares issued as part of the cost of a business combination are included in the weighted average number of shares from the acquisition date, because the acquirer incorporates into its income statement the acquiree’s profits and losses from that date. 21. Ordinary shares that will be issued upon the conversion of a mandatorily convertible instrument are included in the calculation of basic earnings per share from the date the contract is entered into. 22. Contingently issuable shares are treated as outstanding and are included in the calculation of basic earnings per share only from the date when all necessary conditions are satisfied (ie the events have occurred). Shares that are issuable solely after the passage of time are not contingently issuable shares, because the passage of time is a certainty. 23. Outstanding ordinary shares that are contingently returnable are not treated as oustanding and are excluded from the calculation of basic earnings per share until the date the shares are no longer subject to recall. 24.The weighted average number of ordinary shares outstanding during the period and for all periods presented shall be adjusted for events, other than the conversion of potential ordinary shares, that have changed the number of ordinary shares outstanding without a corresponding change in resources. 26. In a capitalisation or bonus issue or a share split, ordinary shares are issued to existing shareholders for no additional consideration. Therefore, the number of ordinary shares outstanding is increased without an increase in resources. The number of ordinary shares outstanding before the event is adjusted for the proportionate change in the number of ordinary shares outstanding as if the event had occurred at the beginning of the earliest period presented. For example, on a two-for-one bonus issue, the number of ordinary shares outstanding before the issue is multiplied by three to obtain the new total number of ordinary shares, or by two to obtain the number of additional ordinary shares. 27. A consolidation of ordinary shares generally reduces the number of ordinary shares outstanding without a corresponding reduction in resources. However, when the overall effect is a share repurchase at fair value, the reduction in the number of ordinary shares outstanding is the result of a corresponding reduction in resources. 28. An entity shall calculate diluted earnings per share amounts for profit or loss attributable to ordinary equity holders of the parent entity. 29. For the purpose of calculating diluted earnings per share, an entity shall adjust profit or loss attributable to ordinary equity holders of the parent entity, and the weighted average number of shares outstanding, for the effects of all dilutive potential ordinary shares. (b) The weighted average number of ordinary shares outstanding is increased by the weighted average number of additional ordinary shares that would have been outstanding assuming the conversion of all dilutive potential ordinary shares. (c) Other changes in income or expense that would result from the conversion of the dilutive potential ordinary shares. 32. After the potential ordinary shares are converted into ordinary shares, the items identified in paragraph 31(a)-(c) no longer arise. Instead, the new ordinary shares are entitled to participate in profit or loss attributable to ordinary equity holders of the parent entity. Therefore, profit or loss attributable to ordinary equity holders of the parent entity calculated in accordance with paragraph 10 is adjusted for the items identified in paragraph 31(a)-(c). The expenses associated with potential ordinary shares include transaction costs and discounts accounted for in accordance with the effective interest method. 33. The conversion of potential ordinary shares may lead to consequential changes in income or expenses. For example, the reduction of interest expense related to potential ordinary shares and the resulting increase in profit or reduction in loss may lead to an increase in the share profit. For the purpose of calculating diluted earnings per share, profit or loss attributable to ordinary equity holders of the parent entity is adjusted for any such consequential changes in income or expense. 34. For the purpose of calculating diluted earnings per share, the number of ordinary shares shall be the weighted average number of ordinary shares calculated in accordance with paragraphs 17 and 24, plus the weighted average number of ordinary shares that would be issued on the conversion of all the dilutive potential ordinary shares into ordinary shares. Dilutive potential ordinary shares shall be deemed to have been converted into ordinary shares at the beginning of the period or, if later, the date of the issue of the potential ordinary shares. 35. Dilutive potential ordinary shares shall be determined independently for each period presented. The number of dilutive potential ordinary shares included in the year-to-date period is not a weighted average of the dilutive potential ordinary shares included in each interim computation. 36. Potential ordinary shares are weighted for the period they are outstanding. Potential ordinary shares that are cancelled or allowed to lapse during the period are included in the calculation of diluted earnings per share only for the portion of the period during which they are outstanding. Potential ordinary shares that are converted into ordinary shares during the period are included in the calculation of diluted earnings per share from the beginning of the period to the date of conversion; from the date of conversion, the resulting ordinary shares are included in both basic and diluted earnings per share. 37. The number of ordinary shares that would be issued on conversion of dilutive potential ordinary shares is determined from the terms of the potential ordinary shares. When more than one basis of conversion exists, the calculation assumes the most advantageous conversion rate or exercise price from the standpoint of the holder of the potential ordinary shares. 38. A subsidiary, joint venture or associate may issue to parties other than the parent, venturer or investor potential ordinary shares that are convertible into either ordinary shares of the subsidiary, joint venture or associate, or ordinary shares of the parent, venturer or investor. If these potential ordinary shares of the subsidiary, joint venture or associate have a dilutive effect on the basic earnings per share of the reporting entity, they are included in the calculation of diluted earnings per share. 39. Potential ordinary shares shall be treated as dilutive when, and only when, their conversion to ordinary shares would decrease earnings per share or increase loss per share. 40. An entity uses profit or loss attributable to the parent entity as the control number to establish whether potential ordinary shares are dilutive or antidilutive. Profit or loss attributable to the parent entity is adjusted in accordance with paragraph 10. 41. Potential ordinary shares are antidilutive when their conversion to ordinary shares would increase earnings per share or decrease loss per share. The calculation of diluted earnings per share does not assume conversion, exercise, or other issue of potential ordinary shares that would have an antidilutive effect on earnings per share. 42. In determining whether potential ordinary shares are dilutive or antidilutive, each issue or series of potential ordinary shares is considered separately rather than in aggregate. The sequence in which potential ordinary shares are considered may affect whether they are dilutive, therefore, to maximize the dilution of basic earnings per share, each issue or series of potential ordinary shares is considered in sequence from the most dilutive to the least dilutive, ie dilutive potential ordinary shares with the lowest ‘earnings per incremental share’ are included in the diluted earnings per share calculation before those with a higher earnings per incremental share. Options and warrants are generally included first because they do not affect the profit or loss distributed to holders of common shares. 43. For the purpose of calculating diluted earnings per share, an entity shall assume the exercise of dilutive options and warrants of the entity. The assumed proceeds from these instruments shall be regarded as having been received from the issue of ordinary shares at the average market price of ordinary shares during the period. The difference between the number of ordinary shares issued and the number of ordinary shares that would have been issued at the average market price of ordinary shares during the period shall be treated as an issue of ordinary shares for no consideration. (a) A contract to issue a certain number of the ordinary shares at their average market price during the period. Enterprise should ignore these ordinary shares in the calculating of diluted earning per share because these shares are assumed to be fairly priced and to be neither dilutive nor antidilutive. (b) A contract to issue the remaining ordinary shares for no consideration. Such ordinary shares generate no proceeds and have no effect on profit or loss attributable to ordinary shares outstanding. Therefore, such shares are dilutive and are added to the number of ordinary shares outstanding in the calculation of diluted earnings per share. 45. Options and warrants have a dilutive effect only when the average market price of ordinary shares during the period exceeds the exercise price of the options or warrants (ie they are ‘in the money’). Previously reported earnings per share are not retroactively adjusted to reflect changes in prices of ordinary shares. 46. Employee share options with fixed or determinable terms and non-vested ordinary shares are treated as options in the calculation of diluted earnings per share, even though they may be contingent on vesting. They are treated as outstanding on the grant date. Performance-based employee share options are treated as contingently issuable shares because their issue is contingent upon satisfying specified conditions in addition to the passage of time. 47. The dilutive effect of convertible instruments shall be reflected in diluted earnings per share in accordance with paragraphs 31 and 34. 48. Convertible preference shares are antidilutive whenever the amount of the dividend on such shares declared in or accumulated for the current period per ordinary share obtainable on conversion exceeds basic earnings per share. Similarly, convertible debt is antidilutive whenever its interest (net of tax and other changes in income or expense) per ordinary share obtainable on conversion exceeds basic earnings per share. 49. The redemption or induced conversion of convertible preference shares may affect only a portion of the previously outstanding convertible preference shares. In such cases, any excess consideration referred to in paragraph 15 is attributed to those shares that are redeemed or converted for the purpose of determining whether the remaining outstanding preference shares are dilutive. The shares redeemed or converted are considered separately from those shares that are not redeemed or converted. 50. As in the calculation of basic earnings per share, contingently issuable ordinary shares are treated as outstanding and included in the calculation of diluted earnings per share if the conditions are satisfied (ie the events have occurred). Contingently issuable shares are included from the beginning of the period (or from the date of the contingent share agreement, if later). If the conditions are not satisfied, the number of contingently issuable shares included in the diluted earnings per share calculation is based on the number of shares that would be issuable if the end of the period were the end of the contingency period. Restatement is not permitted if the conditions are not met when the contingency period expires. 51. If attainment or maintenance of a specified amount of earnings for a period is the condition for contingent issue and if that amount has been attained at the end of the reporting period but must be maintained for an additional period, then the additional ordinary shares are treated as outstanding, if the effect is dilutive, when calculating diluted earnings per share. In that case, the calculation of diluted earnings per share is based on the number of ordinary shares that would be issued if the amount of earnings at the end of the reporting period were the amount of earnings at the end of the contingency period. Because earnings may change in a future period, the calculation of basic earnings per share does not include such contingently issuable ordinary shares until the end of the contingency period because not all necessary conditions have been satisfied. 52. The number of ordinary shares contingently issuable may depend on the future market price of the ordinary shares. In that case, if the effect is dilutive, the calculation of diluted earnings per share is based on the number of ordinary shares that would be issued if the market price at the end of the reporting period were the market price at the end of the contingency period. If the condition is based on an average of market prices over a period of time that extends beyond the end of the reporting period, the average for the period of time that has lapsed is used. Because the market price may change in a future period, the calculation of basic earnings per share does not include such contingently issuable ordinary shares until the end of the contingency period because not all necessary conditions have been satisfied. 53. The number of ordinary shares contingently issuable may depend on future earnings and future prices of the ordinary shares. In such cases, the number of ordinary shares included in the diluted earnings per share calculation is based on both conditions. Contingently issuable ordinary shares are not included in the diluted earnings per share calculation unless both conditions are met. 54. In other cases, the number of ordinary shares contingently issuable depends on a condition other than earnings or market price. In such cases, assuming that the present status of the condition remains unchanged until the end of the contingency period, the contingently issuable ordinary shares are included in the calculation of diluted earnings per share according to the status at the end of the reporting period. (b) If those potential ordinary shares should be reflected in diluted earnings per share, an entity determines their impact on the calculation of diluted earnings per share by following the provisions for options and warrants in paragraphs 43-46, the provisions for convertible instruments in paragraphs 47-49, the provisions for contracts that may be settled in ordinary shares or cash in paragraphs 56-59, or other provisions, as appropriate. 56. When an entity has issued a contract that may be settled in ordinary shares or cash at the entity’s option, the entity shall presume that the contract will be settled in ordinary shares, and the resulting potential ordinary shares shall be included in diluted earnings per share if the effect is dilutive. 57. When such a contract is presented for accounting purposes as an asset or a liability, or has an equity component and a liability component, the entity shall adjust the numerator for any changes in profit or loss that would have resulted during the period if the contract had been classified wholly as an equity instrument. That adjustment is similar to the adjustments required in paragraph 31. 58. For contracts that may be settled in ordinary shares or cash at the holder's option, the more dilutive of cash settlement and share settlement shall be used in calculating diluted earnings per share. (a) A debt instrument that, on maturity, gives the entity the unrestricted right to settle the principal amount in cash or in its own ordinary shares. (b) A written put option that gives the holder a choice of settling in ordinary shares or cash. 60. Contracts such as purchased put options and purchased call options (ie options held by the entity on its own ordinary shares) are not included in the calculation of diluted earnings per share because including them would be antidilutive. The put option would be exercised only if the exercise price were higher than the market price and the call option would be exercised only if the exercise price were lower than the market price. (c) the incremental ordinary shares (the difference between the number of ordinary shares assumed issued and the number of ordinary shares received from satisfying the contract) shall be included in the calculation of diluted earnings per share. 62. If the number of ordinary or potential ordinary shares outstanding increases as a result of a capitalisation, bonus issue or share split, or decreases as a result of a reverse share split, the calculation of basic and diluted earnings per share for all periods presented shall be adjusted retrospectively. If these changes occur after the balance sheet date but before the financial statements are authorised for issue, the per share calculations for those and any prior period financial statements presented shall be based on the new number of shares. The fact that per share calculations reflect such changes in the number of shares shall be disclosed. In addition, basic and diluted earnings per share of all periods presented shall be adjusted for the effects of errors and adjustments resulting from changes in accounting policies accounted for retrospectively. 63. An entity does not restate diluted earnings per share of any prior period presented for changes in the assumptions used in earnings per share calculations or for the conversion of potential ordinary shares into ordinary shares. 64. An entity shall present on the face of the income statement basic and diluted earnings per share for profit or loss attributable to the ordinary equity holders of the parent entity for the period for each class of ordinary shares that has a different right to share in profit for the period. An entity shall present basic and diluted earnings per share with equal prominence for all periods presented. 65. Earnings per share is presented for every period for which an income statement is presented. If diluted earnings per share is reported for at least one period, it shall be reported for all periods presented, even if it equals basic earnings per share. If basic and diluted earnings per share are equal, dual presentation can be accomplished in one line on the income statement. 66. An entity shall present basic and diluted earnings per share, even if the amounts are negative (ie a loss per share). (a) The amounts used as the numerators in calculating basic and diluted earnings per share, and a reconciliation of those amounts to profit or loss attributable to the parent entity for the period. The reconciliation shall include the individual effect of each class of instruments that affects earnings per share. (b) The weighted average number of ordinary shares used as the denominator in calculating basic and diluted earnings per share, and a reconciliation of these denominators to each other. The reconciliation shall include the individual effect of each class of instruments that affects earnings per share. (c) Instruments (including contingently issuable shares) that could potentially dilute basic earnings per share in the future, but were not included in the calculation of diluted earnings per share because they are antidilutive for the period(s) presented. (d) A description of ordinary share or potential ordinary share transactions, other than those accounted for in accordance with paragraph 62, that occur after the balance sheet date. If those transactions had occurred before the end of the reporting period, that transactions would have changed significantly the number of ordinary shares or potential ordinary shares outstanding at the end of the period . (f) The achievement of conditions that would result in the issue of contingently issuable shares. Earnings per share amounts are not adjusted for such transactions occurring after the balance sheet date because such transactions do not affect the amount of capital used to produce profit or loss for the period. 69. Financial instruments and other contracts generating potential ordinary shares may incorporate terms and conditions that affect the measurement of basic and diluted earnings per share. These terms and conditions may determine whether any potential ordinary shares are dilutive and, if so, the effect on the weighted average number of shares outstanding and any consequent adjustments to profit or loss attributable to ordinary equity holders. 70. If an entity discloses, in addition to basic and diluted earnings per share, amounts per share using a reported component of the income statement other than one required by this Standard, such amounts shall be calculated using the weighted average number of ordinary shares determined in accordance with this Standard. Basic and diluted amounts per share relating to such a component shall be disclosed with equal prominence and presented in the notes to the financial statements. An entity shall indicate the basis on which the numerator(s) is (are) determined, including whether amounts per share are before tax or after tax.